The Las Vegas Convention and Visitors Authority (LVCVA) Board of Directors today made a monumental decision that will revolutionize Southern Nevada’s transportation. 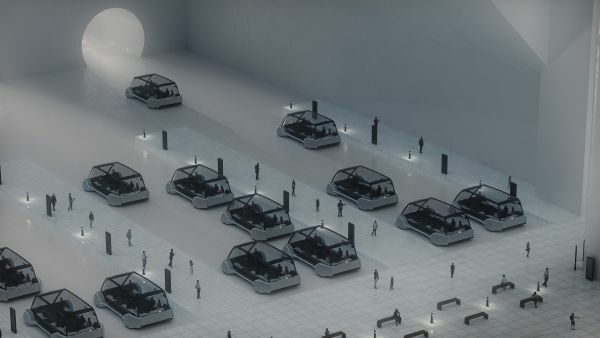 The 14-member Board approved a recommendation to select Elon Musk’s The Boring Company (TBC) to design, construct and operate a people mover for the Las Vegas Convention Center via a loop of underground express-route tunnels that could carry passengers in autonomous electric vehicles at high speeds. The innovative project has the potential to connect Downtown, the Las Vegas Convention Center, the Las Vegas Boulevard Resort Corridor, McCarran International Airport and beyond. Currently in the midst of an expansion, the Las Vegas Convention Center will span 200 acres when complete in time for CES in 2021. Conventioneers walking the facility from end to end would log approximately two miles creating the need for an on-property guest transportation solution. In 2018, Las Vegas had more than 42 million visitors. The Las Vegas Convention Center hosts more than 1 million convention attendees annually. The Regional Transportation Commission of Southern Nevada carries approximately 12 million passengers per year within the Las Vegas Boulevard Resort Corridor. 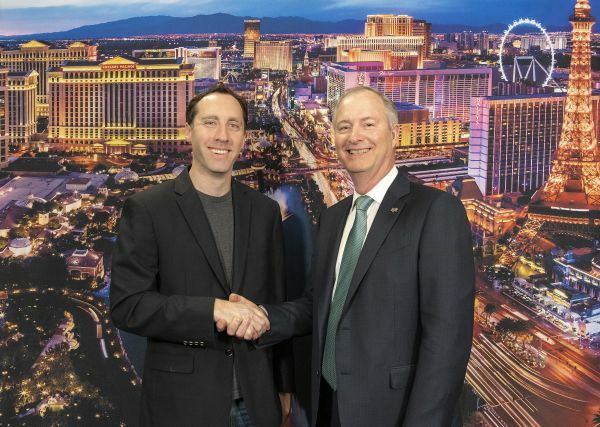 “Las Vegas is a high-energy, high-technology destination equipped to welcome the world, and we are excited to deliver a system that will help visitors efficiently navigate the city’s many offerings,” said Steve Davis, president, The Boring Company. Founded by Elon Musk, TBC is a leader in innovative transportation technology. Its projects include a Research and Development (R&D) Test Tunnel in Hawthorne, California. The R&D Test Tunnel represents a fully operational 1.14-mile Loop system that cost less than $10 million per mile including internal tunnel infrastructure. The LVCVA’s TBC recommendation is a result of a multi-step process that started in 2018 with a request for information to gauge interest. A request for proposal was then issued. Interviews with the selected finalists were conducted by an evaluation team who determined the recommended company. The evaluation team was comprised of representatives from the LVCVA, private organizations including a Las Vegas resort property, and consultants in transportation systems, and automated people-mover construction and operations industries. Following today’s decision, TBC and the LVCVA will determine specific design, construction and operational plans and negotiate a contract for final approval by the LVCVA Board in a subsequent meeting anticipated by June 2019. 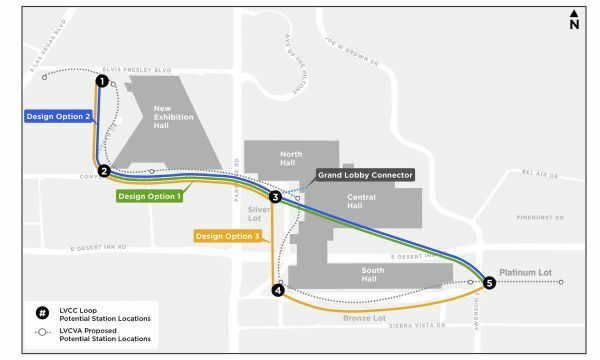 TBC’s existing proposal indicates the underground loop system offers reduced total costs, less disruption to pedestrian and vehicle traffic, and faster construction time than traditional ground or above-ground options. The loop will be designed to meet the full spectrum of ridership needs, including demands from future expansions, with a potential capacity of up to 11,000 passengers per hour. The estimated system cost is between $35 million and $55 million depending on route, number of stations and size of stations. Tourism is the engine that drives Southern Nevada’s economy, and one of the greatest opportunities for continued growth is business travel. Through expanding and renovating the convention center coupled with innovations in efficiently and effectively moving locals and visitors within the destination, Las Vegas will not only retain its status as the No. 1 conventions city, it will ensure the economic future of the entire destination. Overall, the tourism industry continues to be crucial to Southern Nevada’s economy generating $58.8 billion in total economic impact, supporting 391,000 jobs and $16.4 billion in local wages and salaries. These jobs represent 41 percent of Southern Nevada’s total workforce. • The Las Vegas Convention Center hosts 21 percent of convention attendees traveling to Southern Nevada directly supporting approximately 8,600 jobs, paying $375 million in wages and salaries. 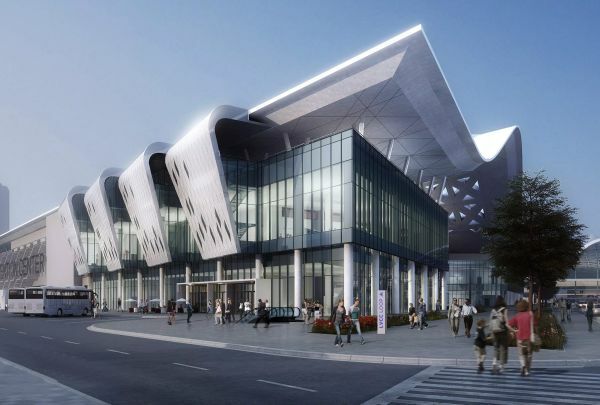 • Including indirect and induced impacts, the Las Vegas Convention Center’s attendees generate nearly $2.1 billion in economic impact throughout the local economy. 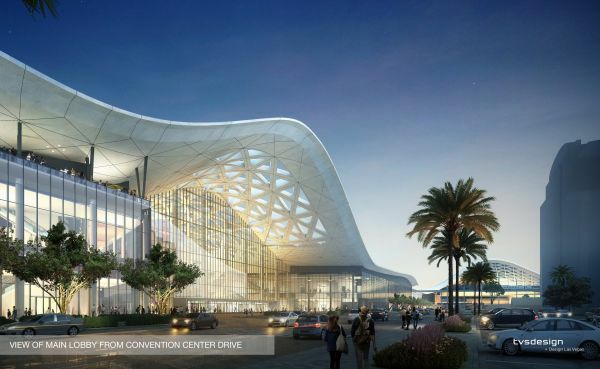 • The Las Vegas Convention Center expansion and renovation are expected to support nearly 14,000 construction jobs and nearly 7,800 full-time permanent jobs upon completion. • The project will generate an additional $2.1 billion in economic activity during construction and upon completion will have an annual incremental economic impact of $810 million while attracting more than 600,000 visitors each year. • Las Vegas hosts upwards of 22,000 meetings, conventions and trade show annually. • The destination boasts nearly 12 million square feet of meeting space including three of North America’s ten largest convention centers, in addition to a wide array of event, dining and entertainment venues that are also used for group business. • Trade Show News Network recently recognized Las Vegas as the No. 1 trade show destination in the country for the 24th consecutive year for hosting 47 of the top 250 largest trade shows in North America. • The Las Vegas Convention Center supports 13,800 local jobs and $2.1 billion in local economic impact. • The Las Vegas Convention Center hosted 56 conventions in 2018 with a combined attendance of 1.3 million people.